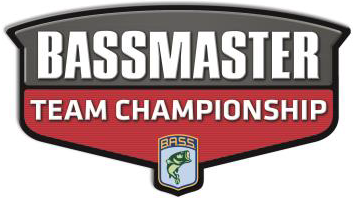 For the 2018 season, EBASS will host 8 events with the best 7 to count, in order to qualify for the 2018 EBASS Classic. After the 8 qualifying events, the 25 top teams (determined by their top 7 results) will be invited to compete in the 2 day EBASS Classic. The accumulative total of points scored for both the best 7 qualifying events and the total points earned during the 2 day EBASS Classic, will determine the EBASS Team of the Year, as well as the teams to qualify for the annual SABAA Team Championships. 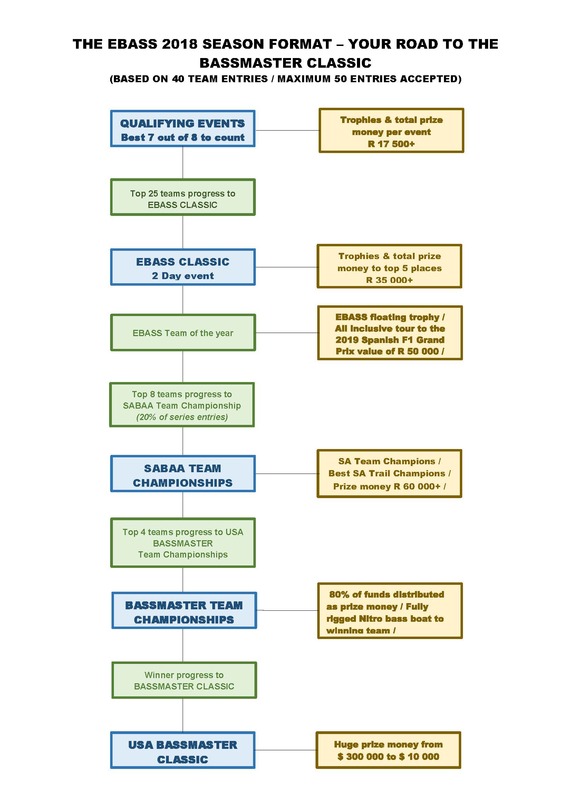 A number of the top teams each affiliated Team Tournament Trails, will qualify to compete in the SABAA Teams Championships (the number of qualifying teams for each trail, will be determined on a proportional basis = 20% of all the registered teams competing in each trail). The teams who made it into the final, will compete over 2 days for the SA Team Champions title, the best Team Trail in SA (“interprovincial”) as well as for 4 slots to the USA BASSMASTER TEAM CHAMPIONSHIPS. After 3 official practice days, the anglers will compete as two-angler teams, with a USA TEAM CHAMPIONSHIP being crowned after the first two days. For the final two days, the six anglers from the top 3 teams will compete solo with a BASSMASTER CLASSIC berth on the line for the eventual winner.